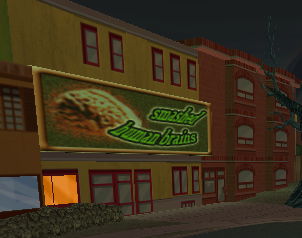 Smashed Human Brains is a restaurant in Springfield that serves smashed human brains. The restaurant replaced a "Deli" store in Springfield during Halloween, likely being taken over by zombies. Modified on October 2, 2016, at 16:28.